Jennifer Restivo Carey (formerly Morcheles) has been a New York City resident since 2007. A seasoned residential rental and sales agent, Jennifer has an informed perspective of the NYC marketplace. 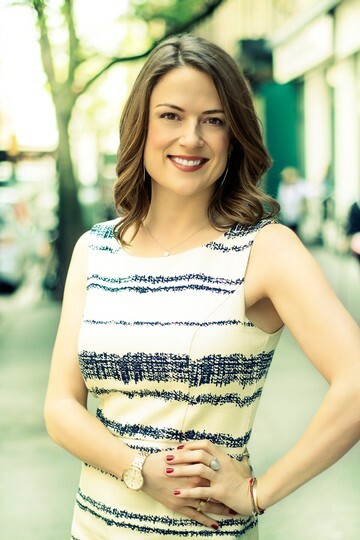 Specializing in first-time buyers, condo and co-op new development and resale properties, Jennifer has been committed to providing value and excellent service to NYC customers for the past nine years. Jennifer offers an openness and ease that is often neglected from the real estate world. Her unique background makes her an excellent listener, communicator and educator, providing clients the attention and care they need to ensure a seamless and demystified transaction process. With a gift for spatial awareness, Jennifer has a knack for matching her clients' vision with the just the right property. She also has the trained ability to adapt to varying personality types and which has led her to create exclusive relationships with sellers and landlords throughout the city. In addition to being the Director of Sales at Real New York, Jennifer also heads the company's rental and sales training programs. Originally from Maryland, Jennifer holds a MFA from the University of California, Irvine. 3 BR at 143 LUDLOW STREET, #.PHA. February 2019 by Ian B.
Jennifer Morcheles helped me when I was looking for a place in New York City and she was so kind. She went above and beyond in all parts of her service. She sent me comprehensive financial comparisons between real estate options, lined up great condos for us to see, and was so sweet and fun to be around during the whole process! I will definitely be sending my friends and family to Jennifer in the future if they want to find a place to live in New York. Thanks Jennifer! You're the best! Real NY Properties is the best! Jennifer Morcheles worked hard to get me the apartment that I wanted. She and Jay Lin are an excellent team, who were on my side and helped to make the process easy and seamless. I would recommend them to anyone! Jennifer was great to work with. She was knowledgable and had great suggestions to accommodate our needs, and even to help us negotiate a better deal with the landlord. She went out of her way to be available to us, and helped us find a unicorn of an apartment in fairly short order. We''d talked to many agents and she stood out among the pack. She was a great resource for us in every step of the process, and we highly recommend working with her.